When cleaning a pool table, you have to go with the grain - follow the weave of the felt so it doesn't disturb the natural pattern in the swath. Lightly brush across the surface, do not put too much pressure or you'll rip the felt. Hustling pool is pretty much the same process - go with the flow, follow a pattern, inconspicuously sweep the room, don't force it, let the mark come to you and don't get ripped off. It's hard to be a modern day pool hustler, what with movies, books and the Internet always leaking tricks of the trade. It takes a creative hustler to make a living at it anymore. That is exactly what Danny Basavich was - a creative hustler who used improvisation and quick thinking to hustle. Basavich is a legend known in billiards circuits as Kid Delicious - a man who traveled the U.S. and parts of Canada, sharking the local talent - including an alleged $5,000 take right here in Myrtle Beach - for a half a million dollars in a little more than 5 years. On Saturday, Kid Delicious was scheduled to display his table talents at new pool hall Shore Thing Billiards on Lake Arrowhead Road, but the event was postponed in light of the threat of Hurricane Irene. He was scheduled to give individual lessons, do a demonstration of his billiards prowess, followed by challenge games with attendees - if there were to be any takers after his demo. But organizers have tentatively rescheduled the event for Oct. 8 at Shore Thing. So Myrtle Beach wannabe pool sharks and would-be hustlers will have to wait if they want to take on the Kid. 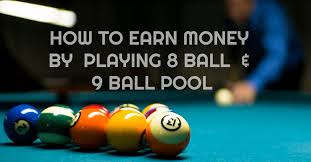 Pool hustling is the art of a pool player hiding his true skill while gambling in order to lull the opponent into a false confidence until the stakes are raised and the pool player reveals his true ability to easily win games. The best hustlers often appear to just be lucky and use persuasion to encourage their opponents to keep gambling by continually offering chances to win their money back. It's not illegal, as long as the bets are between individuals and not part of an organized gambling system. Morality is another matter because deception is a key factor - it's really hard to play people for money if they know you're a famous hustler. All this hullabaloo for an appearance must take some getting used to for Kid Delicious, a man who used to make his living in anonymity. This article in itself could be career death to a hustler - but it's not the first to chronicle his adventures. Instead, it may be one of many signal horns announcing the rebirth of a talented pool player. kid with a raspy voice that sounds like Marlon Brando with a Jersey accent, who dropped out of high school but managed to acutely develop two subjects at an early age - Geometry and English. Only in Basavich's world, English is the angle at which you hit a cue ball to modify its roll and Geometry covers the angles of a billiard table, the straight lines and vectors associated with a bank shot or an ideal leave. At 15, Basavich started spending a lot of time in a pool hall close to his house. He polished his game, learned the terms that are intrinsic to the craft. At 17, he ventured to New York and attempted to hustle a local pool player with the moniker Kid Vicious. While destroying Vicious' reputation, someone yelled out, "Vicious just got beat by Delicious." With his weight at almost 300 pounds and his jovial playing style - the name stuck. Allen Salyer, a local amateur pool player, first-time promoter and the guy responsible for bringing Kid Delicious to the beach, described Basavich's affable nature, "He is an atypical pool professional, kind of an underdog...eager and generous." That seems to be the consensus throughout Kid's career - a heart as big as his gut. "He's not a strikingly athletic human," said Mitch Laurance, play-by-play billiards commentator for ESPN and husband to billiards legend and Grand Strand resident, Ewa Laurance. "Danny definitely has that every-man appeal." That is probably why he fit in so well when he moved to West Haven, Conn. and literally lived in a pool hall called Chicago Billiards Hall. The owner, Ralph Procopio, was the patron saint of hustlers and funded Kid's tutelage. It was here he learned to be a true hustler. When asked about the Chicago Billiards Hall, Basavich says, "I miss it like crazy. When I travel to Connecticut, I go and visit Ralph P. at his bread factory." It's at Ralph P's place that Kid meets his partner in crime, Bristol Bob. Bristol Bob or Bob Begey was a funhouse mirror reflection of Kid - attractive, in shape, short temper. In 1997, the odd couple climbed into Kid's 1982 Cadillac and hit the road becoming traveling hustlers. They moved quick - from town to town - making big scores. Kid explained his best run, "Two days in Oklahoma City I won 10 games of 9-Ball for $5,000 a game for a total of $50,000. Then continued for the next 3 weeks and won another $50,000 still in Oklahoma. Another time I won $30,000 in Philadelphia and the pool player gamblers lost another $30,000 on side bets." It is even cited in the Sports Illustrated article, "The Amazing Adventures of Kid Delicious and Bristol Bob" by L. Jon Wertheim that he hustled "$5,000 in Myrtle Beach" during that period. Female billiards champ Ewa Laurance, aka "The Striking Viking," spent a fair amount of time with Kid when he was on the pro tours. When we asked her about Kid pilfering this bounty from the beach, she said, "You can't be sure if that's a story or a true story." But their exploits are as close to facts as you can get with hustlers as sources. Nevertheless, Basavich's and Bristol's run is the stuff of legend. They did bar tricks, trick shots, used Sneaky Petes - which are professional-level cue sticks that have been disguised to look like house cues. Kid hustled college kids at pool halls near universities. He acted like a pudgy, clueless freshman with money to burn - the more games he dropped, the more college kids he drew, soon he had a line of kids with fat pockets to pluck at his leisure. Kid even used a broomstick a couple of times to run the table. Kid and Bristol Bob divided the winnings 50-50 but Kid says Bristol Bob was more than a business partner. "He was my very good friend." They worked the rooms as a team and when we asked Basavich how he knew which guy to hustle, he said, "First sign of a mark is not knowing what a handicap is. Or what ball in hand is. Who to hustle is, a wise guy with money. When I was young, I would play long games for big money, like races to 10 ahead for 12 hours. People always thought I would wear out because I was overweight." Kid's game tightened on the road and he became a 9-Ball artist. "I love 9-Ball, the style is cautious and smart like a chess game. And you must be aggressive at the right time," he says. Bristol Bob and Kid Delicious relied on one another. Bristol Bob encouraged Kid to lose weight and reminded him to take Paxil for his depression. Kid tried to show Bristol Bob how to tame his anger. They added a third partner, a silent one, known as 007. His real name is Greg Smith. More than a hustler, 007 was a billiards spy. 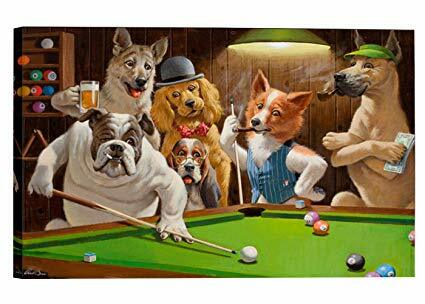 He knew covert information on when to hit different pool halls and who to hit. Kid and Bristol Bob always sent 007 a percentage of their winnings and their union proved to be very fruitful. Kid also sent money home to his family to save for a rainy day but hustlers live a lifestyle of constant celebration - enjoying the temptations of the road. "Basically he spent all the profits, wasting a great deal of money celebrating after a big score. Poor money management seems to be a characteristic of road players," says Salyer. But there were more bumps in the road than celebratory hangovers. Between Bristol Bob's anger and Kid's depression it wasn't always easy. "I never got angry when playing so I didn't get in any fights. If I felt there was trouble brewing I would lose to break even. A few times I had to defuse some trouble when Bob's temper took over." Kid is known for his lively crowd interaction. "For someone to be hustled, they have to allow themselves to be hustled. The best hustlers make you want to just be around them. Danny definitely does that, he makes you feel warm and fuzzy," says Ewa Laurence. But Kid's depression was always a heavy obstruction, "I am always second guessing myself emotionally, I put on a happy face but inwardly I want to cry." Even with a spy directing their route, the hustling duo still walked into uncertainty, every time they swung open a pool hall door. "The toughest place was Jack and Jill's in Baltimore, Md., in back of a shopping center...lots of drugs and shootings. Also in Dallas, a Latin place, everyone had guns. The hardest place to make money was in Tulsa, Okla. because there were so many unknown but great pool players," says Basavich. In 2002, Begey decided to call it quits. Kid kept on traveling, picking up games. But the outlaw life of pool hustling was dwindling as the attention of gamblers diverted to a surge in poker. Kid says he and Bristol Bob still stay in touch. "We speak on the phone every few months but we have separate lives now. Bob still plays pool and also paints pictures of pool players." Basavich stuck his toe in the pro pool circuit as early as 2000 but it didn't fit and he stayed on the road hustling. Then, technology struck, in the form of the Internet. Ewa Laurance elaborates: "The Internet makes hustling impossible, you hustle one day and the next, everyone knows who you are." How could he hide? He tried disguises, colored his hair - but a 300-pound, goateed pool hustler stuck out like a shark in a swimming pool. "At the end of hustling days I traveled for a week and everywhere I went people know who I was and wouldn't play me any more. When I was around 17 to 19, I traveled to Buffalo and Montreal and could always find games. But by the age of 23, I was known in almost all 48 (mainland) states." So in 2004, he went full-time pro - becoming rookie of the year. The previously cited Sports Illustrated article ran during Super Bowl week of 2005. He wasn't earning the money he did as a hustler, but he climbed the ranks in the pros. He played some exciting matches, beat some of the best in the UPA (United Professional Pool Players Association) and won a few titles in 2004 and 2005. "I enjoyed the good quality of the pro tour tables. When I was on the road I had to play on many strange and old tables that didn't react properly and made the game more difficult," he says. And Kid made a big impression on Mitch Laurance during his days in the pros. "His style of play is, at least in a competitive situation, also totally unique, a combination of twitches and wear-it-on-your-sleeve emotions during a match, wrapped around an obvious talent for shot making.," says Mitch Laurence. "Compelling and intriguing, you were never really sure of what was coming next." Kid laid out the secrets behind his "compelling and intriguing" skills in two instructional videos, "The Kid Delicious Advanced Clock System and Banking Secrets" in 2006 and "Big Time Delicious Racking Secrets and Ultimate Pro Shot making" in 2007. Also in 2007, "Running the Table: The Legend of Kid Delicious, the Last Great American Pool Hustler", the book adapted by L. Jon Wertheim from his S.I. article was released. The book was a hit and word spread fast about it being optioned into a movie. But the talks stalled and stayed stalled. Years passed, Basavich spent time with his supportive family, Mom and Dad Delicious - his father has become one of his son's biggest fans and took on a moniker of his own...Daddy D. Kid settled down, having a son of his own. But his career as a pool player seems to have stalled as well. Salyer comments on Kid's hard times since being the last great hustler, "Kid had lost his job selling cars because he couldn't take the hard sell and questionable tactics they use...surviving by selling sports cards and giving lessons." That's what makes Kid distinctive, a walking contradiction - a hustler who can't deliver the hard sell or deal in "questionable tactics." When asked about his future Basavich says, "I plan on making more videos and hope a life story movie is in the works again. I also have a production company trying to make a reality TV show about pool. I don't go on the road much now because I love my family and staying with them. My son is getting bigger and when he's older I will have more time to play pool." The name of the game in hustling pool is staying off the radar. When a hustler's identity is revealed - he loses the power of the sneak attack. He can no longer draw in the enemy by feigning weakness - no more skillful ambushes of the mark. It is the rare hustler who makes his name a household one, after the hustling days are over. The pool halls are filled with guys who are self-appointed kings of the hustle. When Ewa Laurence was asked if she ever hustled she laughed a little and said, "I have a few notches in my cue, mostly putting male egos in their place." That is what most wannabe hustlers are... easily dismissed braggadocio players. Not so, with Basavich. His reputation has been largely verified by his playing. And after all those years of hustling, he doesn't come out looking like a thief or a bad guy. The pool hall crowds, the fans of his pro career, his peers, even the guys he beat out of money seem to be cheering for him. All accounts paint a young man who simply did what he was good at and made some money along the way. Where does Kid Delicious belong in the known canon of hustling legends? What place in the hall of pool giants does he have? Can he stand up next to the likes of Titanic Thompson or Cornbread Red? "Danny is a throwback to the old hustlers," says Ewa Laurence. "Danny had a short flash but his antics make for a very enjoyable evening." He's still young, in his early 30s, and a legend needs time to simmer - time to lay low before a furious return. That fury may be a movie about his life or a TV show or it may be traveling, building his name again on the circuit. "Danny could make a comeback but the question is...Does he still have the desire?," asks Ewa Laurence. "Does he want to win? You have to be dedicated." The future is determined by what is done in the present. So what about Kid's here and now? Why Myrtle Beach? Is he trying to find ways to generate a buzz about his name, Kid Delicious? Or is he content with his past laurels and simply biding time until Hollywood comes calling? "I see a lot of similarities between Kid and myself," says Salyer. "I was riding my lawnmower one Sunday, and I was thinking about how...he is struggling, like I am, and he is so very talented...I am racking my brains trying to figure out a way to help him get back into the mainstream of pool...He is hard to get a hold of. He doesn't do e-mail or Internet. His dad does that for him. I pitched it to Daddy D on Facebook...Then one day my phone rang and it was Kid Delicious." Even if Kid never has a movie made about his life. Even if he's never a reality TV star. Even if he doesn't make another run professionally or if he never sells another instructional video, Basavich's legend will be secured - secure in the fact that a 32- year-old man is rich with a lifetime of autobiographical tall-tales - secure that, ranked or not, he's still one of most incomparable pool players in the land - secure that though he's lived the life of a hustler, he's regained his honesty and integrity - secure with the story about an overweight, depressed kid from New Jersey who became something inspiring...the story of an underdog prevailing.